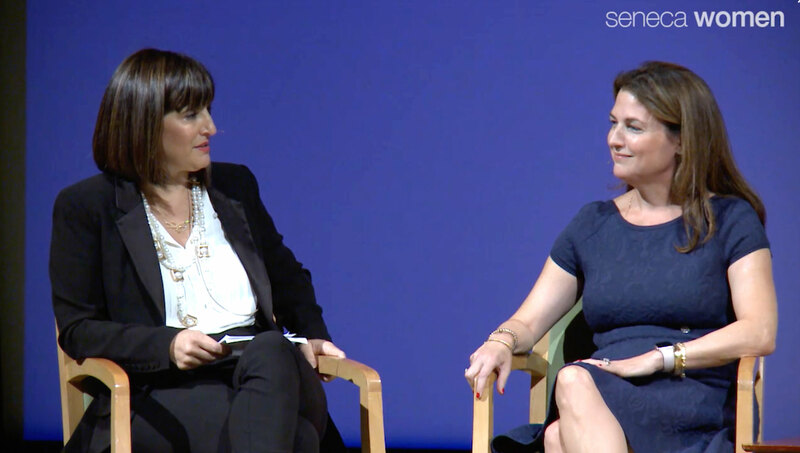 For the second year in a row, Seneca Women hosted the Fast Forward Women’s Innovation Forum at the Metropolitan Museum of Art. 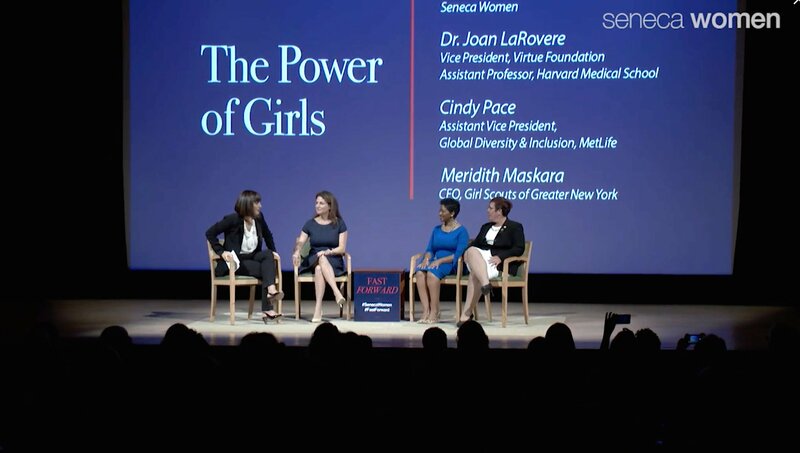 The event brought together leaders in support of advancement of women like Chelsea Clinton, Nobel Prize laureate Muhammad Yunus, designer and philanthropist Diane von Furstenberg, Grameen America CEO Andrea Jung. A highlight of the evening were the leaders and members of Girl Scout Troop 6000, a troop created for homeless girls in New York City. 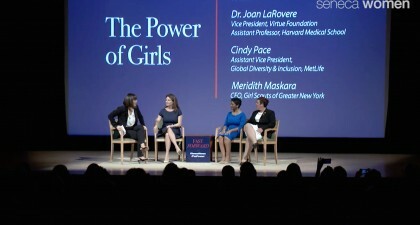 Joining this panel of accomplished speakers was Virtue Foundation’s Co-Founder and Vice President, Dr. Joan LaRovere, to speak on behalf of the Foundation, it’s work, and the importance of supporting education for girls, especially in areas of STEM (science, technology, engineering, math). 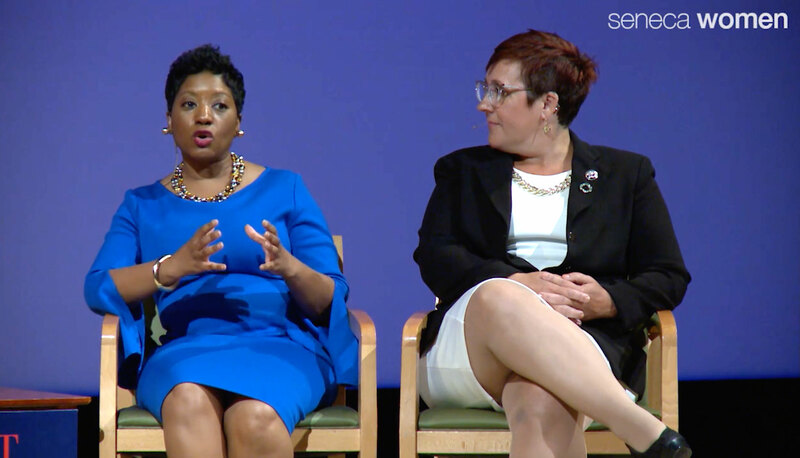 As the world moves in the direction of serious technological advancements in science, big data, and artificial intelligence, Dr. LaRovere spoke on the importance of supporting girls in learning skills that will support them in their futures in this arena. Dr. LaRovere went on to share Virtue Foundation’s use of technology in it’s programming, especially through the use of it’s Data Mapping for Sustainable Development tool, which aims to map the world from a development standpoint to increase efficiency in development programming. Using a data-based and statistics backed approach to its work, Virtue Foundation has been able to carry out countless development interventions that have been specifically targeted and curated to increase impact on the ground. 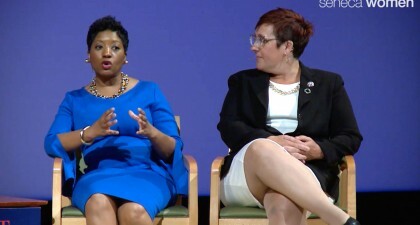 To scale the impact of Girl Scout Troop 6000 and fund additional troops for homeless girls in New York City, Virtue Foundation presented fellow panelist Meredith Maskara, CEO of Girls Scouts of Greater New York, with a donation of $10,000.